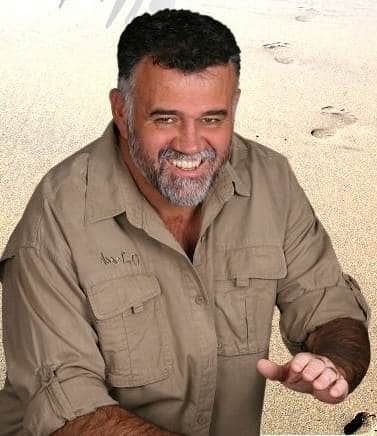 If you want to fire up your team, get it back on track so that it can advance to significance, then you really should consider one of South Africa’s most meaningful and significant motivational speakers, Callie Roos. Callie has a lifetime of experience in the n bush. He is a survival and tracking expert. He teaches from a deeply, spiritual place that was forged on the plains of Africa . The experience you will have with Callie is indescribable. But know one thing – you cannot leave a Callie Roos presentation unchanged and unchained. He will move you from a place of survival to a path of significance. Callie is passionate about nation-building. He knows that South Africans have the absolute potential to do something amazing. To this end, Callie facilitates strategic and leadership thinking, business skills and team processes. Callie teaches people how to turn their lives around by thinking, acting and reacting differently. The Tracker Advance to Significance Keynote is the starting point to become ‘On Purpose.’ The journey starts with this life changing, entertaining address on how to become more ‘on purpose’ and live a life of true meaning and significance. You need to discover for yourself what makes life worthwhile. If you ignore this call, no amount of external success will ever make you feel complete. In this keynote Callie uses the five principles of tracking in the African wild as a metaphor for life’s journey. It is all about balance whilst you try to figure out what is on the other side of the horizon! The Survivor Business on Purpose Keynote deals with the fundamental laws that you need to move beyond the mere basics of survival on an inter-personal level. In this keynote you will understand the value of the ‘other’ in your team/boardroom. One can only truly understand the principles of connecting, abundance, peace-of-mind, synergy and momentum through fulfilled relationships. Drawing from his experience of survival in the African wild, Callie teaches you how to thrive with these same principles in the everyday “urban jungle”. The Science of Success Business Leaders on the Advance Keynote. In this keynote Callie shares principles of success. For him it is a simple science and true for all people. You will never think of your own journey the same after this keynote. However, do take note that this is all done from a significance perspective. Bottom line, life and business was meant to be different and we can still fix it in our lifetime. This is for the business leader who wants his people to believe that it is possible after all. “I have yet to meet someone who has the impact Callie does. In my book, he is the ultimate meaning maker and one of the most significant South Africans of our age. I’m unashamedly a big fan. Callie’s teaching have impacted dramatically on my life and I believe that it can on yours too. You find out when Callie is available and then plan your conference around him. Go to him,” Jacques de Villiers. If you’re looking for one of the most significant motivational speakers that has ever been born from African soil to inspire and move your team, you seriously need to consider Callie Roos. It is impossible to leave a after a session with Callie, unchanged and unchained.